IT IS IMPORTANT THAT YOU READ ALL THE LEGAL NOTICES ON THIS Web site, INCLUDING THE GENERAL STATEMENT, TERMS & CONDITIONS OF USE, INTELLECTUAL PROPERTY, PRIVACY & DISCLAIMER STATEMENTS, CONSUMER RIGHTS (‘Legal Notices’). HomeApproved owns and operates this Web site, located at www.homeapproved.co.uk (‘Web site’). The Legal Notices state the terms and conditions under which you may access and use the Web site. By accessing and using the Web site you are indicating your acceptance to be bound by the terms and conditions of the Legal Notices. HomeApproved may revise the Legal Notices at any time by updating this posting. Use of the Web site after such changes are posted will signify your agreement to those revised legal notices. You should visit this page periodically to review Legal Notices. 1. To process Your car insurance UK quote, our web site partners may require Your name, phone number, email address and other financial information. This information is used to provide accurate quotes or services, and to contact You with rates and terms and conditions. 2. When You visit this Web site, Our web server automatically recognises only the Your IP address, but not Your email address. We use Your IP address for technological purposes only. 3. The information We collect may be used to improve the content of Our web pages, used to customise the content and/or layout of our web pages for each individual visitor, shared with some of our partners or reputable third parties to help them contact visitors for marketing purposes, used by Us to contact visitors for marketing purposes, used by Us to get in touch with visitors when necessary. By agreeing to these Legal Notices You grant Us explicit permission to engage is such marketing. 4. However, if at some later stage You wish to opt-out of receiving marketing material from Us, you can do so by emailing info@homeapproved.co.uk. 5. This Web site works dynamically in collaboration with other Web sites which may be partner, associate, lender or sponsor Web sites. Accordingly, You will move from this Web site to other such Web sites seamlessly. It is important, therefore, that You understand that these Legal Notices bind You (especially in respect HomeApproved liabilities, duties and responsibilities) even though you may move out of this Web site into another. Nevertheless you may also be bound by any terms and condition you accept when entering such other Web sites. 6. 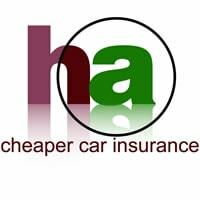 Car insurance quotes supplied through this Web site are not firm quotes or offers, but are estimates based on information provided or publicly available from participating financial service providers and based on the information supplied by You. Terms and descriptions shown on this Web site are summaries only, and are subject to third party participating provider complete terms and conditions. 1. All material contained and presented on this Web site, including but not limited to text and graphics is the copyright or similar rights of HomeApproved, unless otherwise expressly stated. 2. HomeApproved reserves all its rights and strictly forbids any unauthorised use or duplication. Any statutorily authorised rights to print or download are strictly limited to for Your sole personal use. No material, however, can be used for any commercial purpose whatsoever. 3. Any copies of the pages of this Web site which you save, by any means whatsoever can only be used for subsequent viewing purposes or to print extracts for personal use. 4. Unless otherwise expressly permitted in writing, You may not create a database in any form whatsoever of these web pages. 5. Unless otherwise expressly permitted in writing You may not associate this Web site to another Web site by employing technology including but not limited to hyperlinking and framing, subject to Clause 7 in the Privacy & Data Protection Statement below. 6. All Trade Marks used on this Web site and on any Internet connections made through this Web site, whether marked as Trade Marks or not marked, are declared to belong to HomeApproved, unless otherwise stated. All rights reserved. 1. HomeApproved does not represent nor make any warranty in respect of the accuracy, reliability or continuous supply of any of the information on this Web site. The services and information contained on this Web site are only for general information and use and are not intended to address your particular requirements. 2. HomeApproved accepts no responsibility for the information provided at any of our partners, sponsors or linked Web site into which you will proceed on to as Your request is being processed. 3. Any reliance you place upon any material on this Web site will be at your sole risk. HomeApproved reserves the right in its sole discretion, but without any obligation, to make amendments or improvements to, or withdraw or correct any error or omission in any portion of the material without notice. 4. In particular, the services and information do not constitute any form of advice or recommendation by HomeApproved and are not intended to be relied upon by users in making any order or purchase. Appropriate independent advice should be obtained before making any such decision. 5. The service and the materials are provided by HomeApproved on an “as is” basis, and HomeApproved expressly disclaims any and all warranties, express or implied, to the extent permitted by applicable law. 7. Dealing with HomeApproved recommended sponsors and partners and sites linked through the HomeApproved.co.uk Web site and any other terms and conditions associated with such dealings are solely between You and such sponsor/partner or linked site. 8. Your visit to and use of this Web site and any dispute over liability is subject to these Disclaimers, including limitations of damages, and the laws of England and Wales. 9. Though we make every effort to insure the sites we link to are reputable. We cannot guarantee accuracy of quotes or offers or be held liable for any damages whatsoever which may result either direct or indirect from the use of this site. 10. This website is owned and operated by the company Officefile Limited. Registered in England No. 04557052. All users and visitors to the HomeApproved.co.uk web site should make themselves aware and insist on their consumer rights from any third parties or associates linked to from the HomeApproved web site. Especially their rights under the Consumer Protection (Distance Selling) Regulations 2000. HomeApproved shall in no way become liable to consumers for the failure of third parties to protect their consumer rights.